The 250cc class is a great choice for riders who need something bigger than a 125cc or 200cc, but also don’t want the huge amounts of power that 500cc and up bikes have to offer. Many manufacturers have made the shift to not only providing 250cc bikes but also slightly bigger models such as the 300cc options. While these bigger models still provide the fundamentals of a midrange motorcycle, they give you just that edge, especially when it comes to keeping up with traffic on motorways. Luckily, there is a perfect option for all rider styles, making this section a brilliant starting point for just about everyone. Below, we look at some of the best midrange bikes available, not only including the sport bike range but also many other categories. Some of the very best small capacity motorbikes come from Yamaha. And there are multiple options choose from in this category, making them one of the leaders when it comes to the midrange bikes. Of course, they are also a big player in larger bikes and keep their level of reliability to a standard few can compete with. 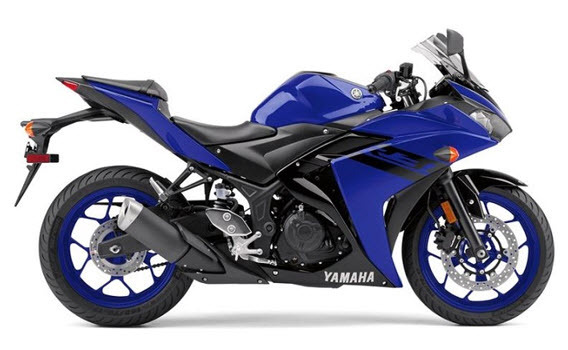 In the sport bike range, they offer the YFZ-R3, which runs in the 250cc range with an engine of 321cc. It’s a twin cylinder motor that provides an impressive 41HP. The great thing about this bike is that it still offers the same styling as the bigger R6 and even R1 models, and since it has a slightly bigger engine, it really delivers the power you would expect from a sportbike. At the same time, it is manageable for new riders and it comes with the best optional extras, including ABS. If you are more interested in a classical motorcycle style, look no further than the Yamaha V Star 250. Representing a similar riding style to the Harley davidson’s, the V Star appears as a great option for those who just want to cruise comfortably. Its hearty motor delivers 22HP, giving it more than enough power to have fun with. Sure, it might not keep up with the R3 mentioned above, but in this class, it’s not all about speed, but comfort as well, in which case the V Star is the better choice. As with Yamaha, Honda also delivers an impressive range of small cylinder motorbikes that provide more than just one option and a great selection of cruisers, sport bikes and even touring options. Once again, these bikes are extremely reliable and don’t cost KTM and Ducati prices to maintain either. 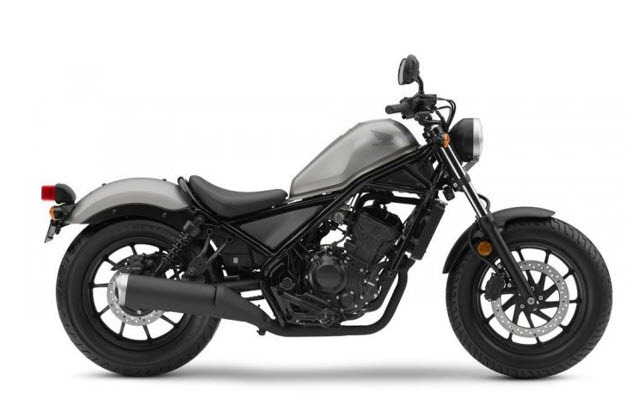 Keeping to the classical style, we look at the Honda Rebel 300 that takes classical bikes to a whole new level with a matt black finish. It also impresses with a 286cc engine that delivers 24.4 hp, which ensures you don’t only get to your destination in style, but you also have the resources to make it an enjoyable journey. The Honda CBR range is their most popular and also includes a smaller option for new riders. Once again, the sport bike comes with a bigger 300cc engine and delivers an additional edge with just over 30 hp. The Styling flows in perfectly with their bigger CBR bikes, making this smaller bike look and feel a lot faster than it should be.